Are your Mineral Makeup & Skincare Products Chemical Free? We have been completely inundated with messages splashed across the airwaves via commercials and internet by way of blogs and commercial websites that 'chemicals' are killing us followed by campaigns on how to get 'chemicals' out of our life. Sadly, it is a type of methodology of advertising being geared toward certain products such as "all natural" or "organic" as being 100% "chemical free" whereby making them safer for use. Unfortunately for those that make this claim, they have missed the mark or really don't understand chemistry since it is literally impossible and devoid of all science to state a certain brand of mineral makeup, cosmetic, skincare or any other personal care products, are "chemical free" or that we could even begin to remove chemicals from our lives entirely. However, due to this skewing of facts on the part of bloggers, natural skincare / cosmetic manufacturers, and marketers, it has created the mindset in the consumer that minerals and natural / organic ingredients are best and are somehow mutually exclusive from chemicals. Except for one simple fact, all things in nature have chemical properties. The very word 'chemical' conjures fear in many people. Some believe that all “chemicals” are dangerous while others wish they could completely avoid “chemicals”. But the reality is we cannot live without them, not even for a second! Why? Because everything you can see or touch, except light and electricity, is a “chemical”. Water, milk, vitamins, food, air; each of these are all made entirely of “chemicals” and all living things are 100 per cent chemical. So needless to say, confusion sets in when we see a product that has a claim it is “chemical-free”. How can any product “contain no chemicals”? What secret allows the creation of products that use no ingredients? Because the truth is, like everything else, all cosmetic ingredients are chemicals, no matter where they come from or how they’re made or whether they’re derived from synthetic or natural sources, so obviously there’s no reason to fear chemicals. 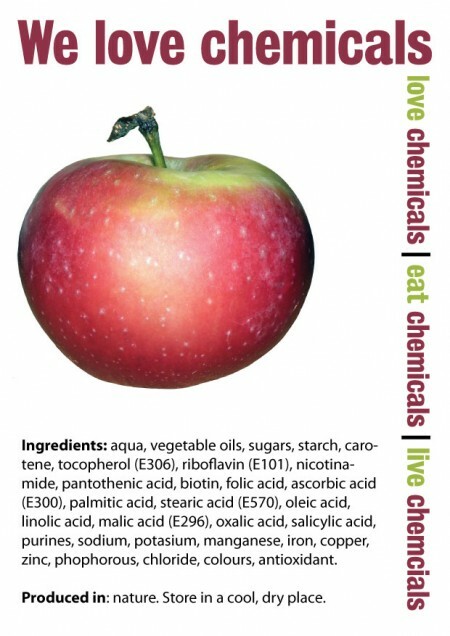 Everything (including nature) is made completely out of chemicals, so they can’t be all bad, right? In fact, the overwhelming majority of chemicals we're exposed to during our life time will be safe and harmless. Our bodies are also made up of chemicals as is water, and even our brains produce chemicals, keeping us balanced and healthy. Minerals, when mined from the ground in their natural state, still have chemical elements and further go through a chemical process to make them safe and useable in the cosmetic marketplace. By an example in terms of minerals used in sunscreens and mineral makeup products, most Zinc Oxide found in the commercial market today is synthetically created. Titanium Dioxide and Zinc Oxide have many uses besides being physical sun blocking agents. They are used in different applications including pigment for cosmetic shades and whiteners in dairy products, such as to make milk appear whiter than it really is. For many it has been easier to simply identify the differences as TiO2 and ZnO are minerals and all other sunscreens are derived from chemicals. This is why you see the big push from NGO's telling you to buy "Chemical Free Sunscreen" even though this advice is not based in science. In actuality, it would be factual to state that the majority of sunscreen chemicals are synthetically (man made) derived, yet other types of makeup products created with the use of "minerals" are certainly not chemical free. 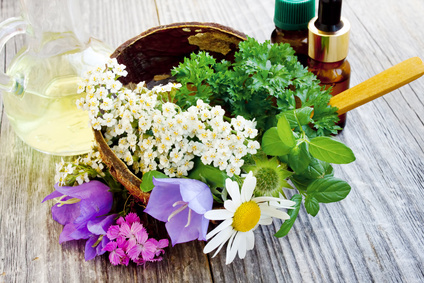 When it comes to 'all natural' or 'organic' skincare products, many of these types of ingredients we find in nature can and will be used in our skincare and cosmetics, yet it is also important to understand they too go through a chemical (synthetic) process to have the raw ingredients we enjoy so much, be purified or improved for performance in order to be made "safe for use" in our favorite personal care products. Based on the facts surrounding this question, the word "chemicals" as a whole should no longer bear the connotation of somehow being harmful, toxic or unsafe, or that they should be set apart from the natural / organic world. Simply put, to state otherwise is disingenous and not sound science.